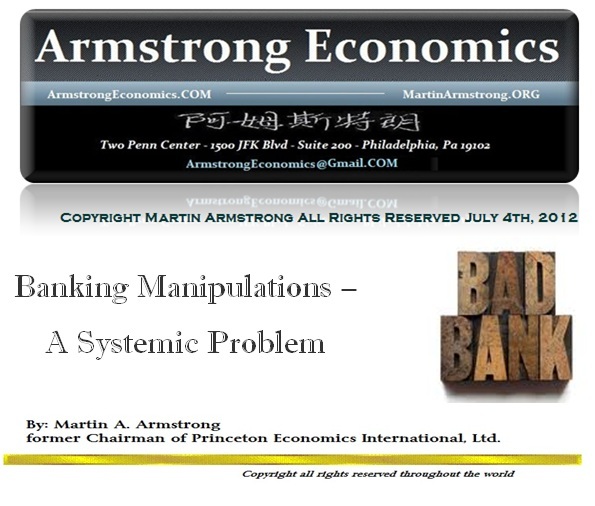 Banks have been manipulating markets, interest rates, and governments for a very long time. The present scandal involving manipulating LIBOR interest rates in Europe that began in Britain is surfacing like a soap opera evolving slowly on the political stage of life illustrating the potential to split the financial world in two like no other since the 1970s, but then the reality of how the political backrooms will cover everything up once again. This hysteria about individuals and “bad culture” is of course the typical response. However, this is nothing more than a smokescreen designed to mask the far deeper and major fundamental problem which is systemic. Banks are never satisfied with earning money as a bank. The frauds in banking have in fact altered the very purpose of banks and have led to the bankers have become the dog that wags the tail which has become the politicians. All of this is possible simply because of the greed and self-interest of our political forms of government. This is by no means the error of the ways in banking that are attributable to a mere current few individuals. It is systemic. Barclays’ Chief Executive Officer Robert Diamond has resigned with immediate effect over the latest scandal involving the manipulation of the LIBOR interest rates. Little by little, banking scandal always surface and government pretends to take them serious imposing fines and sometimes getting some resignations. However, this pretense that it is the act of an individual rather than a systemic problem prevails over the decades and means that there is never a real world solution to ever take place. This is not just Barclay’s reputation that has been harmed here once again. This is the British/American banking industry as a whole. It has been the biggest political-industry and most critical financial powerhouse of the world which has been historically the driving force behind the progress of civilization. This scandal over manipulating Libor interest rates has struck a blow so deep that it is exposing both the British and American banking reputations. 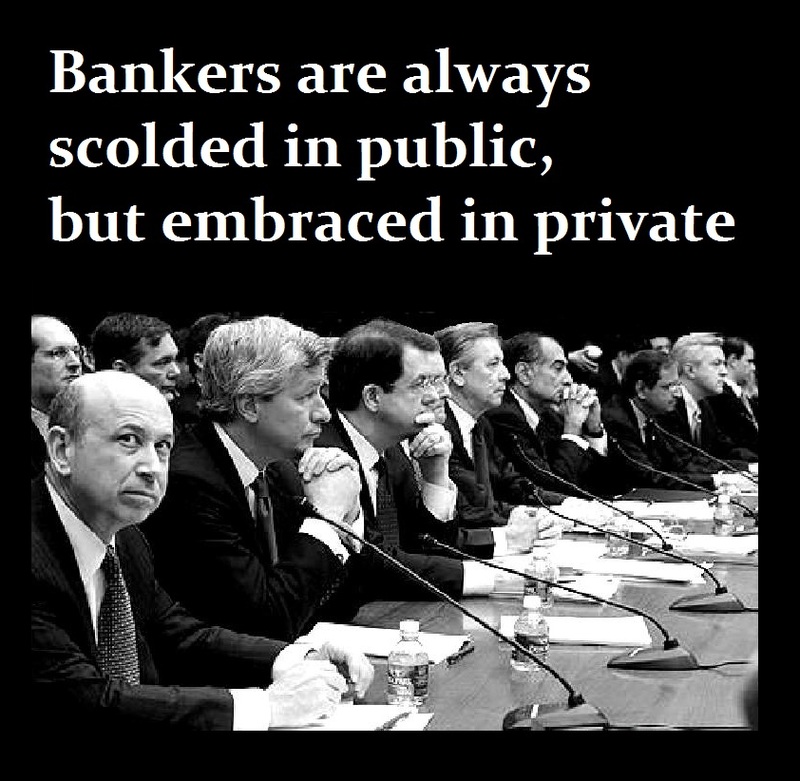 This banking financial industry is the cornerstone of capitalism. Nonetheless, this corruption of trading with other people’s money and manipulating markets within the banking industry, has been systemic and politicians are unwilling to follow the breadcrumbs for they know where they truly lead – right around the house and to their own back door. Bob Diamond, the chief executive of Barclays, resigned early Tuesday July 3rd, 2012 over the lending rate-rigging scandal that last week saw the bank fined a record amount by U.S. and U.K. regulators. Yet this is window dressing. The move deepens the latest crisis to hit the financial services industry. The wildcard is of course the British authorities. They tend to be far more honest than those in the United States. Further investigations into the manipulation of inter-bank lending rates will uncover massive New York banks also engaging in the same practice. Of course, the Americans will never SERIOUSLY investigate no less allow a public exposition. When they refuse to honestly look, the worst is allowed to fester until they create a Constitutional crisis by inaction. With each banking scandal, people do not realize but the way banks operate today is based upon fraud that reshaped them each and every time into the institutions we now know today. Banks were originally places to store one’s wealth. They did not lend your money out or assume it entitled them to play with other people’s money. In Athens, there were moneylender that took deposits with the disclosure that they would pay interest as a portion of the profits they earned from lending your money. Post-Dark Age, banks first emerged as a money-storage facility that engaged in clandestine operations of helping themselves to depositors money without disclosure. 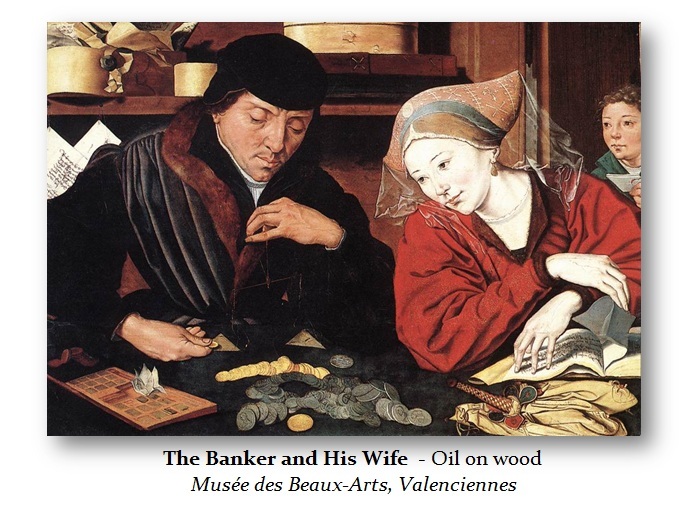 Even going back into ancient times, we find the same assets bubbles and banking frauds existed then as they do now. History repeats in similar ways because the passions of man never change from century to century. One of the earliest recorded real estate and banking crisis events in history comes to us from Demosthenes (384-322BC) who was an Athenian statesman recognized as being the greatest of all Greek orators of his time. He is famous most for his moving speeches that roused the Athenians to oppose the father of Alexander the Great, Philip II of Macedon (382-336BC). His speeches are known as the Philippics delivered early in 351BC. The Greeks had a word reflecting banking deposits “parakatatheke” that translates best into “other people’s money” and it was understood that banks (trapeza) were lending other people’s money. 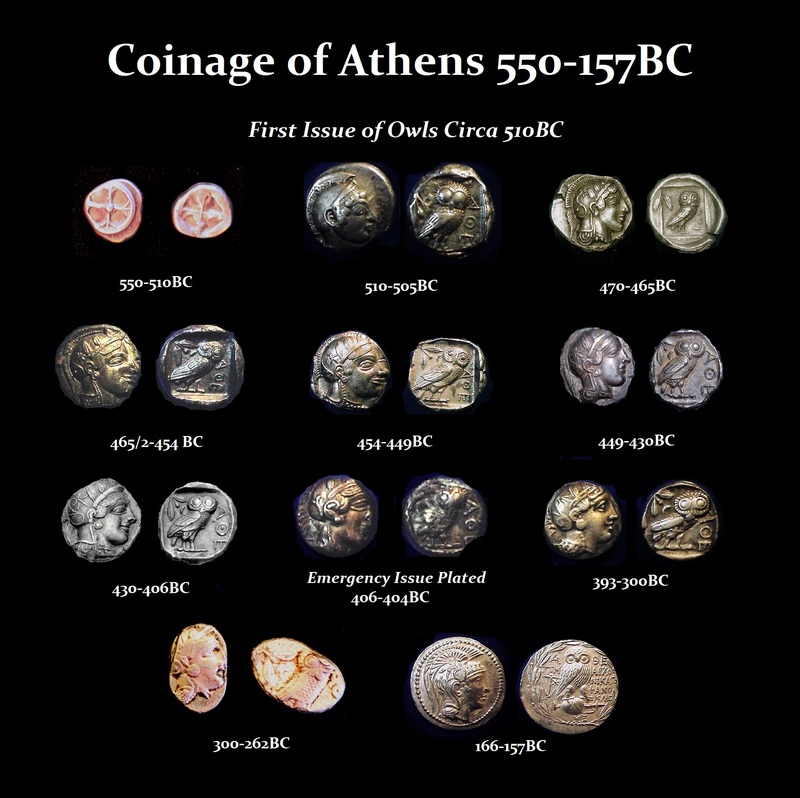 Athenian banking was a matter of trust. The bankers (trapezitai) of Athens were quite unique. There was no concept of compelling information about accounts and thus, having accounts with a banker entitled the depositor to the benefit of confidentiality. Demosthenes tells us the wealthy could “conceal his wealth ••• in order that he might obtain secret returns through the bank.” (Dem 45, 66). Athenian banking was built upon trust and confidentiality. Creditors could not get at one’s wealth if it was in the hands of a banker. This also applied to taxation. This was the backdrop to the financial system in Athens. If real estate was used as collateral, then the creditor placed horos-stones on the property that specified the creditor’s name. Horos means limit, or boundary. A horos stone was a boundary marker with a legal enforceable meaning since there was no central land registry. Generally, they had something written on them speaking in the first person. All land that was legally owned had to be enclosed by horos stones placed at regular intervals most likely at intervals equal to a stade, which was the length of the Olympic competition field, and the origin of our word “stadium”. 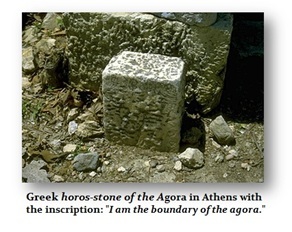 A surviving horos stone of the agora in Athens shows the inscription that reads, “I am the boundary of the agora.” This was the legal structure concerning real estate in ancient Athens. Real estate loans were thus common in Athens and horoi served as claims upon the land. Lacking a central register for land ownership, to sell property required both parties to post the sale with one of the city magistrates for 60 days. Anyone who had a claim essentially had 60 days to come forward and object. This was a limited version of title insurance. This, combined with the secrecy in banking, led to the first recorded land bubble in financial history. 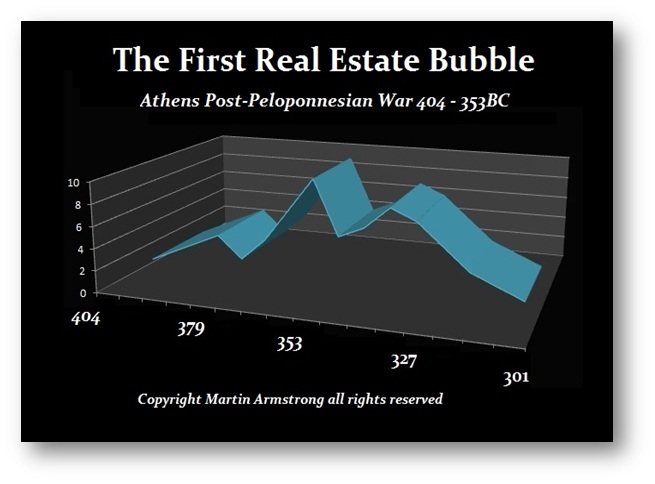 The bubble was reached about one normal full economic business cycle of 52 years in length from the end of the Peloponnesian War, 404BC bringing us to 353BC the time of Demosthenes’ speech concerning the financial panic. Speculation must have taken-off aggressively thanks to the capital concentration within Athens. This led to an interesting corruption involving the Treasurers of the Temple of Athena and the “Other Gods.” Money was donated to the gods and thus the temples accumulated tremendous wealth. The city would be able to borrow from the temples. A scheme was hatched that the moneys from the temples were secretly given to bankers in absolute confidence. The profits would then flow to the Treasurers and the capital would be returned to the temple. There was no plan to abscond with the treasury, just to use the funds for the personal gain of the Treasurers. The same scheme took place in 1989 when the Bank of Crete received government money and the profits would flow to government officials that was exposed only when the bank went bust (See NY Times 9/21/90; A14: 9/27/89; A3). In the instant case of ancient Athens, a liquidity crisis developed and the inability of the bankers involved to pay the money back to the Treasurers was critical. Unable to return the funds, the Treasurers set fire to the Opisthodomos where the money was stored. 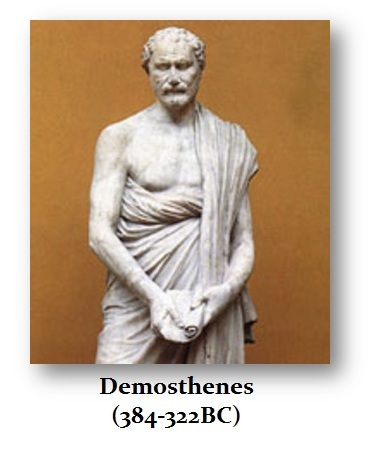 Demosthenes tells us of several bankers by name, Aristolochos who owed many people money (Dem 36.50) and Sosinomos along with Timodemos who failed when they were unable to pay the Treasurers. The fraud was exposed and the Treasurers were arrested and thrown into prison pretrial. Clearly, the confidentiality was one factor that allowed the Treasurers to get involved with the bankers knowing their deposits would never be revealed (Dem 45.66). While the references to these events do not provide all the names involved nor the precise date for the burning of the Opisthodomos, and the reference to real estate is not completely set forth in detail as we would like in modern times, (Dem 36.50). Aristolochos’ bank failed with references to real estate speculation. This is the critical aspect to understanding this crisis. At that time, there was no other investment medium into which capital could be invested. Agriculture became the export upon which trade depended with expectations of future profits fill the skies. In addition, banking afforded more of a venture capital opportunity with maritime loans at very high rates often 33% due to the high risk of the ships being lost at sea. Real estate was the more conservative gamble. However, real estate became a product of speculation as capital poured into what many considered the least risky investment medium. There were business partnerships one could create such as the manufacture of wine, jugs, and household products. But the avenue for capital appreciation attracting investment was land as prices soared providing capital gains rather than a steady income from manufacture. Real estate absorbed the majority of capital for the production of grain and wine, not to forget olives. Sosinomos’ bank failed, and that at least contributed to a serious banking crisis that manifested into a CONTAGION, (Dem 36.50). Some banks clearly survived much as J.P. Morgan during the Panic of 1907. This was the case of one banker Pasion, who when he died in 371BC was the richest man in Athens at the time of his death. Therefore, in the middle of a banking crisis, it did not result in a total meltdown insofar as Pasion’s bank clearly survived. Upon Pasion’s death, the operation went to his sons and then on lease to Phormion followed by Xexon, Euphraios, Euphron, and finally to Kallistratos. This passage of management reflects the longevity of Pasion’s bank (Dem 36.4-6). Demosthenes remarked about the lack of gratitude Apollodoros had toward Phormion who “preserved the bank” when others failed (Dem 36.51). Apollodoros was Pasion’s son and thus this helps us date this crisis to between 371BC when Pasion died and the date of Demosthenes’ speech in 353BC. It was Demosthenes’ warning to the Athenians of the dire conditions Attica would find itself if Phormion failed. This was no doubt like George Bush asking for a $700 billion bailout of all would collapse. Demosthenes suggests that the banking crisis was created by real estate speculation by bankers, in particular Stepanos (Dem 36.50). Some have argued that the failures were due to a concentration of business in one sector giving rise to a “structural” defect, Edward E Cohen (Athenian Economy- & Society (1992). However, agriculture was still 70% of the US economy by the mid-1800s and 40% by 1900 dropping to 3% by 1980 only because of the Industrial Revolution. This is a correct assessment that the majority of the productive forces were concentrated in real estate. However, it was the emerging market economy and trade that caused capital to concentrate there in Athens from other nations. Considering that Sparta won the war in 404BC, their virtual communistic state shunned the arts and personal development. This meant that Athens, like Carthage, would come back faster and stronger build upon trade. The lack of a vibrant public debt market or private share market narrowed the ability of capital to diversify causing it to pour into private agricultural-land investment. Even when there are a variety of investment opportunities, capital concentration still takes place based upon expectations of future profits leading often to pipe dreams. Banking re-emerged from merchant trading post-Fall of Rome. It was the merchants who began to travel and bring back goods such as spices and silk from the orient that traveled on the Silk Road. This same trade route with China existed in Roman times and there is evidence that there were even diplomats sent to China by the Roam Emperor Marcus Aurelius (161-180AD). Merchants became the wealthy and this gave birth to banking by first foreign exchange, money transfers, and then money storage. Banking emerged largely from the Age of Mercantilism as the act of providing security for those who sought to deposit their money in a safe place. This emerged into Giro Banks as it had done in ancient times. A Giro Bank is one where money is transferred between two accounts. This was the model of Greek banking that the Romans adopted. Mercantilism began from the Northern Italian city states of Florence, Genoa and Venice. Where the former two were free markets, the latter Venetian model was based upon retaining state monopolies discouraging free enterprise. For all of Venice’s trade, it was very slow to make a transition toward using its profits to further a financial industry. In 1504, Basle, Switzerland, created a public bank that was effectively an Exchange Bank acting as a quasi-central bank. Because of this, Basle would retain a reputation for banking even among nations. It served merchants, nobles, and clergy as well as artisans, with credit among Swiss and German cities. It carried the implied guarantee of the city. This had provided a sense of stability. Basle became the leading Swiss financial marketplace. Venice, nonetheless, was slow to act because it saw trade as a state owned monopoly discouraging free enterprises. 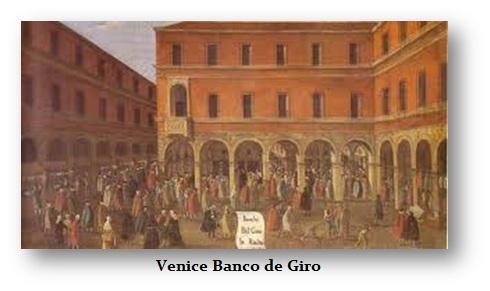 Finally, in 1587, Venice established a public bank on the Rialto. It would take until 1619 before it would create a public Giro Bank where funds were being paid between accounts. Venice was too married to trade by state monopoly. It was Genoa and Florence that contributed more to society than is generally respected in matters of capital management. Venice was a city that was unable to transform its great trade wealth into a real capitalistic economy because of its desire of government to own and control trade. The failure of Venetian banking was directly attributable to state ownership that still serves to undermine the European economy today. If you ask most people what was the first central bank, they will no doubt point to the Bank of England founded in 1694 overlooking Basle. 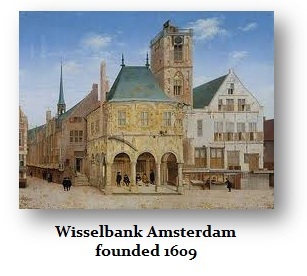 However, the use of banks for the purpose of the government truly begins with the Wisselbank founded in 1609 in Amsterdam. While one paid a fee to have an account at the bank and there was to be no lending of money, what emerged behind the curtain was in fact the Wisselbank lent money both to the government in the City of Amsterdam as well as to the government sponsored Dutch East India Company. This became public in 1790 causing a real panic that forced the bank to be taken over by the City of Amsterdam in 1791. Eventually, the bank was forced to close by 1819. The first true banknotes for circulation appeared in Sweden, and these were actually used by the government to support its wars with Germany. In 1661, the government established a 30 year monopoly for its Stockholm Banco to issue these banknotes known as “letters of credit” that were to be payable in Swedish copper plate money that was extremely heavy and were not practical for actual circulation. However, this practice was abused and ended up supporting the king. This led to the first banking panic in 1663 when there were more obligations than money to now redeem the notes. The bank was forced to close in 1664. However, the Swedish government caught a taste of unlimited wealth. They tried to salvage what they could and finally in 1668, they founded the Bank of Estates, which became the Bank of Sweden in 1866. Some historians will point to this bank in Sweden as the first formal central bank. Essentially, banking began as merely a storage facility. Holding other people’s money has just always been too tempting not to start playing with other people’s money. 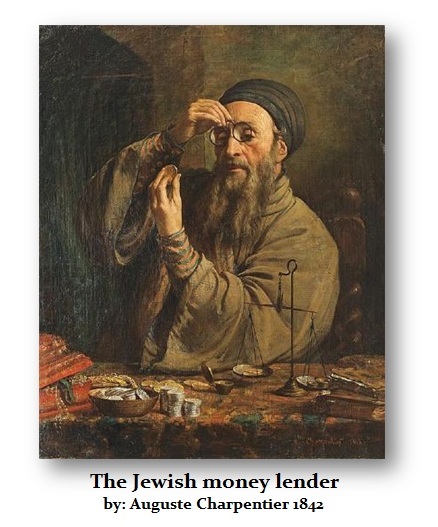 This was a distinctly different trade than moneylending for interest that was dominated by the Jews. The Jewish persecutions over time were not really about religion. They tended to also be profitable insofar as it had the side-benefit of eliminating one’s debts. Even Edward I (1272-1307) expelled the Jews from England in 1290, but confiscated their assets and defaulted on the money he had borrowed. Hitler’s persecution of the Jews had the benefit of confiscating the assets of not just the Jews people, but the Jewish dominated banking industry at the time. The Spanish Inquisition attacked the Jews and Arabs confiscating assets all because the state was in desperate need for cash since Spain had become a serial defaulter. 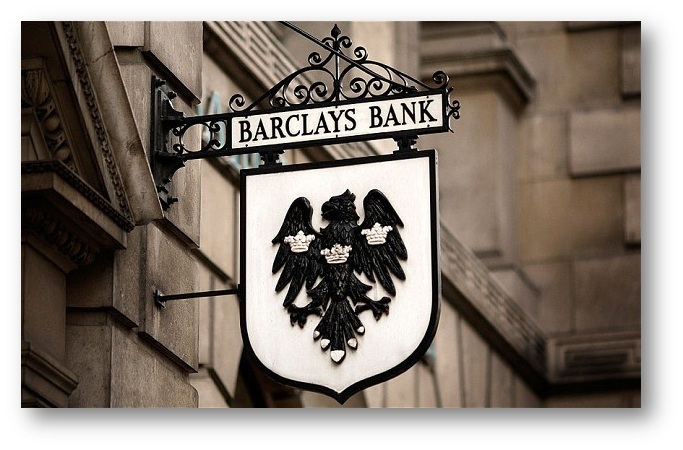 Barclays traces its origins back to 1690. In 1776 the firm was styled “Barclay, Bevan and Bening” adding a partner in 1785, John Tritton, who had married a Barclay family member and the firm then became known as “Barclay, Bevan, Barclay and Tritton”. In 1896 two banks in English banking houses merged with the firm creating Barclays and Co. (including Backhouse’s Bank of Darlington and Gurney’s Bank of Norwich). Barclays then became a public joint-stock bank. Where Barings has been in trouble numerous times, Barclays has been seen as part of the establishment. This latest scandal concerning the manipulation of the LIBOR rate should come as no surprise. The real surprise is that this is coming into the open. The resignations at Barclays are not because of personal wrongdoing. They are an effort to sever the arm to keep the body of the Banking system intact anfd hopefully everyone will be satisfied and go away. The LIBOR is a rate at which at least 16 international banks are willing to borrow from each other. It offers many central banks around the world an overview of the risks in the market, and at what rate money could be lent out. Or so it is purported to be. When the news of the apparent collusion first hit the streets, it appeared no-one was going to accept responsibility. The only reason to do so would be to save the banking industry as a whole. On Monday July 2nd, 2012, the chairman Marcus Agius fell on his sword, stating he will step down after trying to find a replacement. However, his resignation was followed by the aggressive American chief executive Robert Diamond, Jr., who became Britain’s highest paid boss. Diamond brought the aggressive American banking culture of high risk, high reward ethos to Barclays. Ever since the merger of PhiBro and Solomon Brothers 1981, the aggressive market manipulating culture of the commodity business infiltrated both Wall Street and the banking industry. Solomon Brothers got their hand caught in the cookie-jar in 1991 manipulating the US government Treasury auctions. The commodity culture had taken over Wall Street. 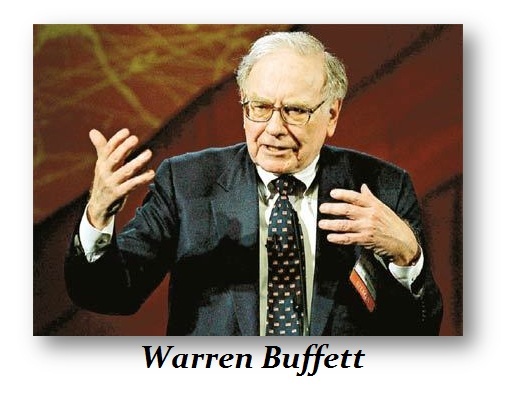 Warren E. Buffett stepped forward and took control of Salomon Brothers Inc. as chairman Sunday, February 17th, 1991 and he quickly talked the U.S. Treasury secretary out of a ban on the firm’s participation in government bond auctions. Salomon Brothers then jettisoned its chairman and four other top executives because of the scandal involving the firm’s attempts to corner the market in Treasury bonds at several recent auctions. John Meriwether was a bond trader at Salomon Brothers where he rose to become the head of the domestic fixed income arbitrage group in the early 1980s. He eventually became vice-chairman of the company in 1988. In 1991, when Salomon was caught manipulating the Treasury securities auctions by submitting also false bids as has been going on in LIBOR, Meriwether was fined a $50,000 civil penalty and left Salomon. Three years later he started Long Term Capital Management (LTCM) that required the Federal Reserve bailout in September 1998. Mr. Buffett owned a 14 percent stake in Salomon. 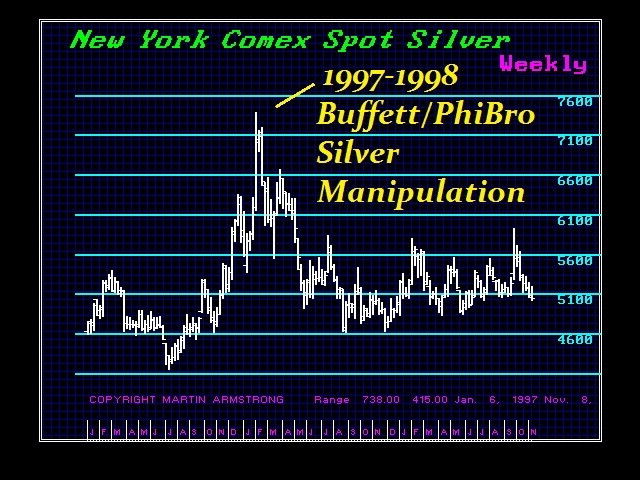 Buffet was also involved in the attempted silver manipulation of 1993 carried out by PhiBro, who convinced Buffett they could make guaranteed profits in commodity trading. For years, the key to manipulating commodity markets was to shift inventories around to make it appear there was a sudden shortage. 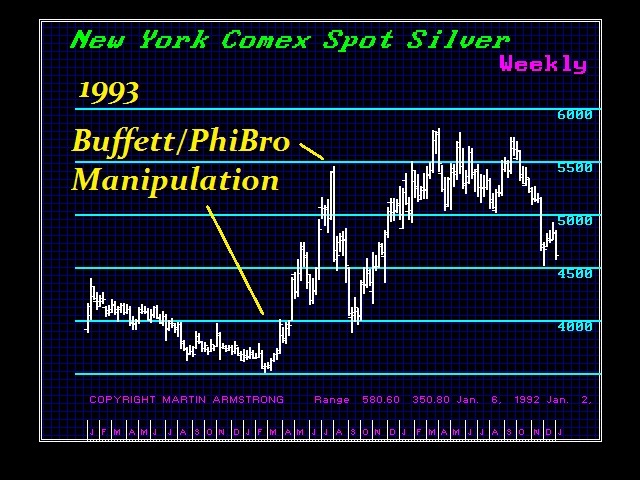 PhiBro began buying silver for Buffett and the CFTC saw the unusual activity and inquired at PhiBro asking for the client name. PhiBro refused to reveal the name and the CFTC order they exit the trade. The silver bulls were wiped out in the blink of an eye. This led to the next idea of moving operations to London. It is why AIG established its trading operations there that below up with the whole CDO scandal. MF Global was bouncing back and forth between New York and London as well. They post client’s funds in London as the firm’s property and proceed to trade with other people’s money. at it was looking into the accusations of market manipulations. The CFTC called the Bank of England who ordered all silver brokers to show up the next morning. This forced Warren Buffet to come out and announce that night on February 3 disclosing he purchased about $1 billion in silver shocking the financial world that had assumed Buffet only traded stocks. The Oracle of Omaha disclosed that he had taken a major shine to the metal and bought up 129.7 million oz. 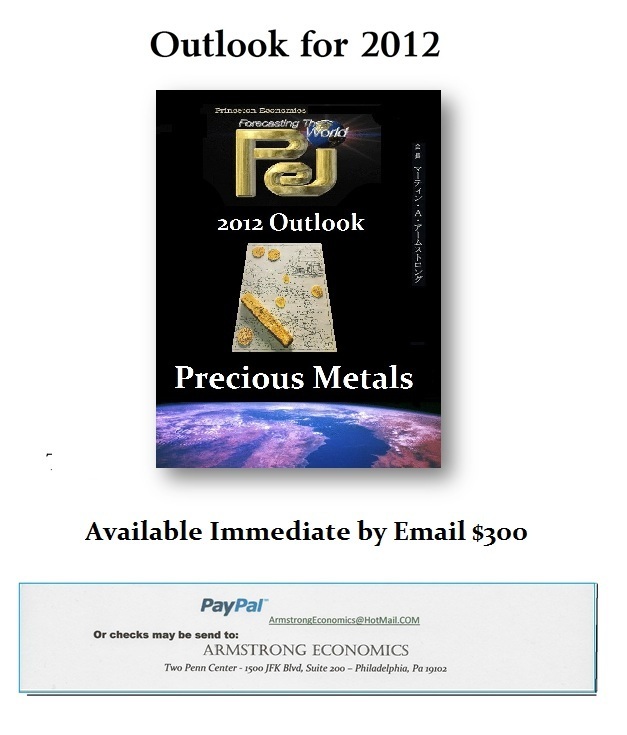 of the stuff or about 37% of the world’s aboveground stock of raw silver, according to the CPM group, a commodities and precious-metals consulting firm. Purchasing far less than that, the Hunt Brothers found themselves testifying before Congress and trying to explain their failed attempt to manipulate silver. The difference was the real commodity manipulators played the Hunts for country hicks. They sold them silver, call the press on them, and then rigged the exchange to make it 10 times greater margins to be long than short. With the help of the exchange, the market manipulators served up the hunts who were blamed for everything. Buffett’s purchases shifted vast amounts of silver from U.S. warehouses, where stocks of the metal were publicly listed, to warehouses in London that are not required to disclose how much they hold. That helped to keep the purchases under wraps. The disappearance caused a Canadian investor to sue the giant commodities-trading firm Phibro for deliberately hiding supplies of silver to push prices up. Phibro, a unit of the Travelers Group–whose shareholders include Buffett’s Berkshire Hathaway holding company–denied the charge. So once again we come full circle. 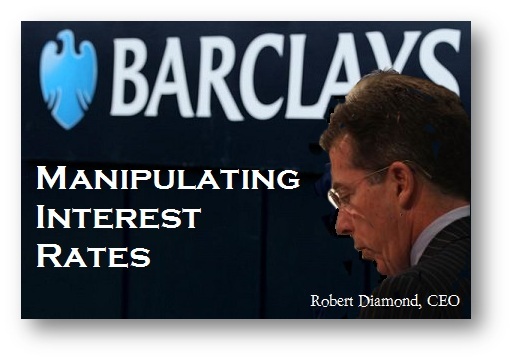 Robert Diamond took the American manipulation philosophy right into the heart of Barclays. Just last year Robert Diamond was telling a committee of MPs in Britain that it was time for the banks to stop apologizing for bad behavior. He arrogantly testified that this period of remorse and apology for banks needs to be over. We need our banks willing to take risk, he confidently boasted. The culture from the commodities world has completely consumed Wall Street, the Banks, and has resulted in the clever reverse takeover of government. Bankers have assumed key positions such as Robert Rubin of Goldman Sachs who became Treasury Secretary under President Clinton and then got Glass-Steagall repealed, without which the 2007-2009 economic downturns would not have been possible. Banks are no longer satisfied being banks. They just have to play with other people’s money and to ensure they do not lose, they have to rig the game. The list of market manipulations is endless. 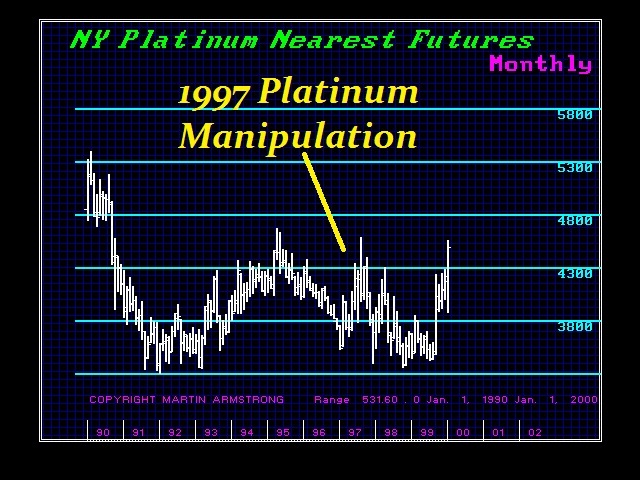 They even paid bribes to Russian Officials in 1997 who recalled platinum to “take inventory” causing the price to soar into August 1997. Russian shipments of platinum stopped for most of 1997. One month after they were done screwing Ford Motor Company, who tried to file suit and GM, they turned and started the silver manipulation. While Robert Diamond’s statement makes for good press, it is pretty much a cover-up for the industry as a whole. Diamond told a British parliamentary committee on Wednesday July 4th, that the manipulation of global interest rate benchmarks involving 14 traders at the bank had made him “physically sick.” But the American-born banker also placed the blame for the rate manipulation scandal on regulators no doubt to save the industry. He told them that the bank had raised concerns multiple times with American and British authorities about discrepancies over how Libor rates banks charge each other for loans. The bank was not told to stop the practice, according to Barclays’ documents submitted to the British Parliament. “A number of banks were posting rates that were significantly below ours that we didn’t think were correct,” Mr. Diamond told the committee. Mr. Diamond also pointed out that other major global financial institutions also had been implicated and that Barclays was being singled out because it was the first to settle. On that score, he was right. The heat this has gathered is solely due to the London press. Had this taken place in New York, the press would not have been as forthcoming. The result of a more free press in Britain is likely to make the next collective scandal less likely to be the first to settle. United States and British regulators are currently investigating the actions of more than 10 large financial institutions, including JPMorgan Chase, UBS and Citigroup. However, their fines of $450 million settlement with Barclays last week will accomplish nothing. It is all for the show despite the fact that Barclays traders had altered Libor for their own benefit from 2005 to 2009. Senior executives also told employees to suppress the bank’s rate submissions during the three years through 2009, in response to the financial crisis that was pushing borrowing costs for most global financial institutions to record highs. Indeed, a lot has changed since the Solomon Brothers scandal of 1991. It was since that event that the New York bankers made a concerted effort to control government investigations by strategically placing key people in political slots globally. Diamond also implicated the Bank of England, no doubt to stave off any possible criminal penalties. Diamond described a phone call he received at the end of October 2008 from Paul Tucker, who was a high-ranking official at the Bank of England. Diamond told the Committee Mr. Tucker expressed concerns from senior politicians that Barclays had been submitting rates consistently higher than rivals, a sign that the bank was perhaps in relatively poor health. Diamond testified he then e-mailed Jerry del Missier, a top deputy, about the conversation. Mr. del Missier, who also resigned, directed employees to keep the submissions lower in line with rivals. Regulators have scrambled characterizing the Tucker comments were a “miscommunication” and not an instructions. Bankers are always scolded in public, but behind doors, many politicians look for cushy jobs for retirement. Mr. Tucker was a front-runner to take over as governor of the Bank of England. In addition, the British Prime Minister, David Cameron, has announced a wide-ranging inquiry into the British banking sector, and he expects the results to be published by the end of the year. 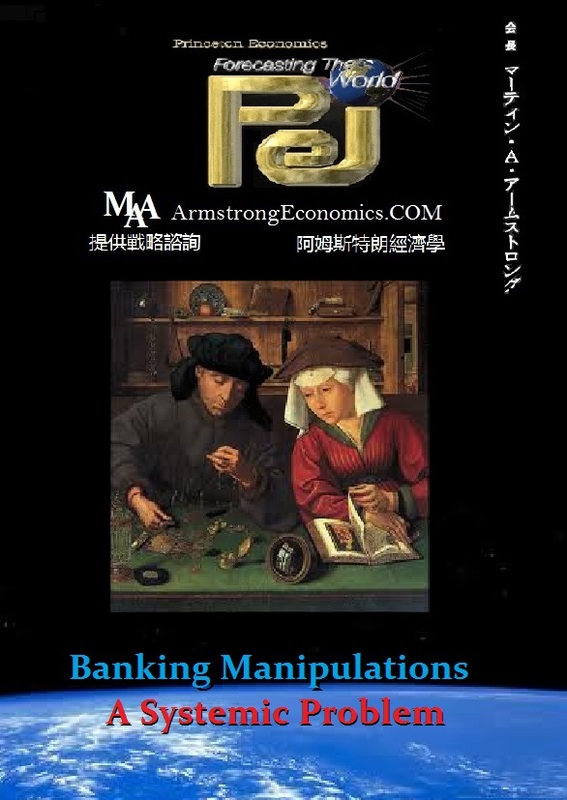 Banks want to be traders, hedge funds, and that leads to market manipulations. This will not be the last scandal. There is no one ready to curtail the banks to banking. The merger of PhiBro & Solomon Brothers was a watershed moment. Goldman Sachs was a nobody before it took over J. Aaron & Co to compete with Solomon Brothers. Today, Goldman’s CEO Lloyd Craig Blankfein is a former commodity trader from J. Aaron. This is a special report unlike anything out there. The full data on the shifting of the magnetic poles has been included showing the earth cycles derived from scientific exploration of the ocean floor where the strips of lava are magnetized to where the north pole is at that point in time. 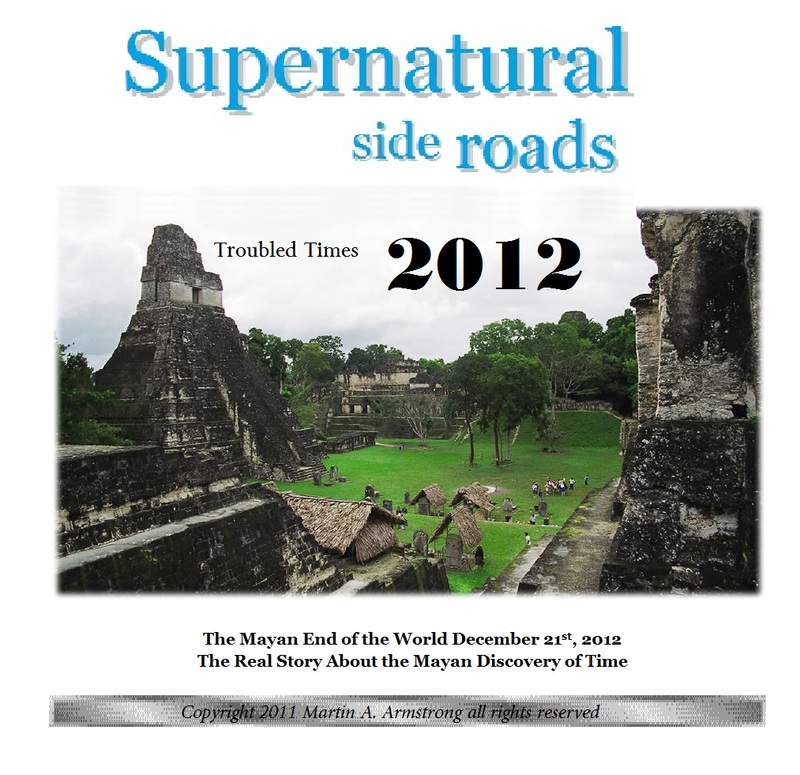 While many have hyped the Mayan Discovery of Time couching it in the typical doom and gloom, what they missed is their real discovery that is far more fascinating that the pretend end of the world. 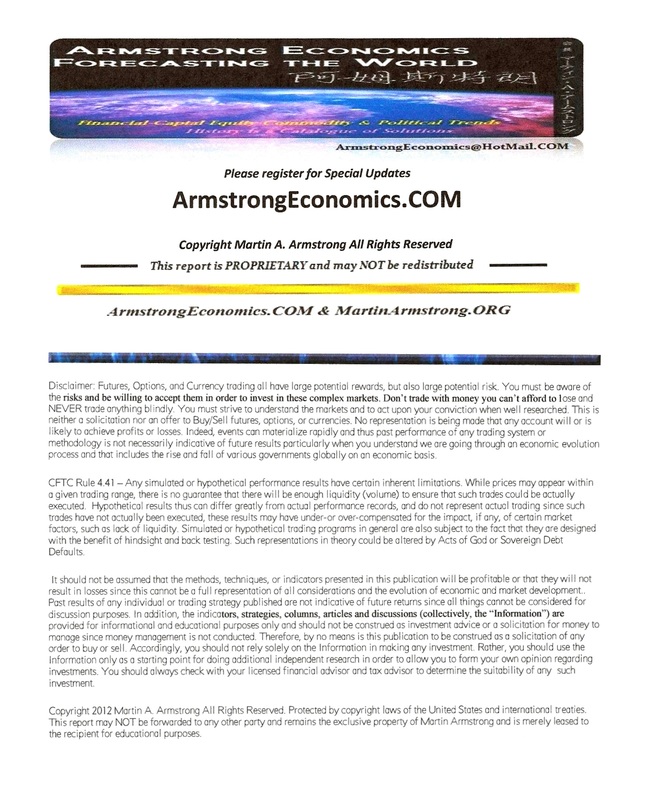 What we are witnessing are earth changes that are also normal and on a cyclical schedule. Is the worst yet to come?